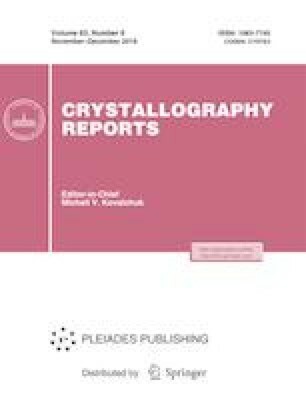 Crystals of human macrophage migration inhibitory factor in complexes with phenyl isothiocyanate and tartrate were grown by the capillary counter-diffusion method under microgravity conditions. The preliminary X-ray diffraction study of these complexes was performed at near-atomic resolution (1.16 Å). We thank Dr. K. Inaka for assistance in collecting X-ray diffraction data sets at the Spring-8 synchrotron radiation facility. This study was supported by the Federal Agency for Scientific Organizations (agreement no. 007-ГЗ/Ч3363/26; screening of crystallization conditions), the Russian Foundation for Basic Research (project no. 16-04-01182 supporting the isolation and purification of the protein and the preparation of the MIF–PITC modification) and was performed within the framework of the Federal Space Program 2016–2025 (International Space Station, Nauka Multipurpose Laboratory Module; crystallization by the counter-diffusion method and collection of X-ray diffraction data) and in the frame of internal RD work, funded by the National Research Centre “Kurchatov Institute” Activity Program for 2018–2022 (analysis of the known MIF structures available in the PDB, as well as of the crystallization conditions for well-diffracting proteins).